The principles of Financial Fitness are available for everyone. Just as with diets for physical health and fitness, where fanaticism and extremism are not only suspect but are unsustainable, so too with financial fitness. What works best is knowledge and application of basic principles. Learning and applying these principles, over time, can produce incredible results. 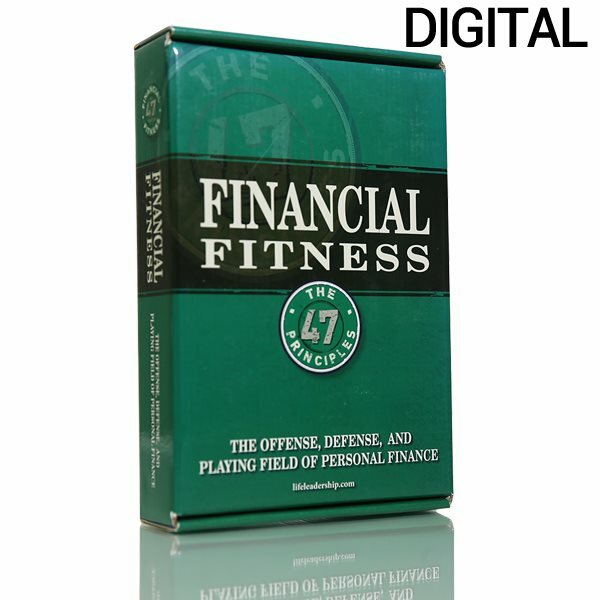 The Financial Fitness Program teaches the Offense, Defense, and Playing Field of personal finance. With a basic understanding of these three areas, which are rarely taught together as a whole, anyone can learn to prosper, conserve, and multiply the fruits of his or her labor. The Financial Fitness Program is also registered with CPEThink.com, which means CPAs can earn 22 self-study CPE credits from CPEThink.com/ffcpe by completing the material in the Financial Fitness Program and passing an online exam. CPEthink.com is an IRS Approved Continuing Education Provider registered with the NASBA as a QAS Sponsor of Continuing Professional Education, and the CPE credit hours satisfy or exceed the updated AICPA/NASBA guidelines on self-study CPE activated in 2014 for all 50 states and US territories. To access the CPE course learning objectives, review questions, and final exam, please visit http://www.cpethink.com/ffcpe.